Hi!, nice tutorial! i try to show some content after “taxonomy” loop but doesnt work. Any ideas why? Holy frick, this is awesome. Thanks so much for creating this. I have tried to use the after shop content, but this way the content appears on everywhere. It is possible to just show on the shop page but except the archive pages? Is there any hook for this? Thank you so much for creating such a complete guide. 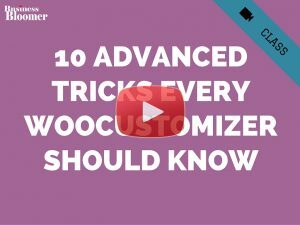 Easily the most complete Woocommerce knowledge out there. I just want to say thank you very much for creating these guides. They are great. I have some attributions called od, ln, r and I want to sort it in asc, but it brings me in order of text and not numeric. 1,11,13,2,3,4 instead of 1,2,3,4,11,13. what I do? Thank you for the resource and tutorials! They have been very helpful in the ever continuing expansion of our Woocommerce store. I do have an issue I cannot find a solution for, however. We have multiple products, some of which we have in stock at our warehouse, others we have factory availability. What I have now is displaying a generic message “Call for Availability” although I do not want this displayed on items I actually have in stock. The in-stock items I have set to manage stock, with quantities. The items that we have factory availability for are simply set to in-stock. Is there a way I can differentiate between the two so that on my category pages in-stock items will display “Call for Availability” while any items I have managed will display # in stock. thanks for this resource – it’s so helpful. I am trying to remove the buy product button for my external products (i’m an affiliate store) from my shop pages (category, brand etc.) . Unfortunately this code is not working & I cannot find the alternative for external products. Hello Assunta – thanks so much for your comment! Not sure, it could be theme/plugin overrides… if you use the code on 2017 theme, does it work? 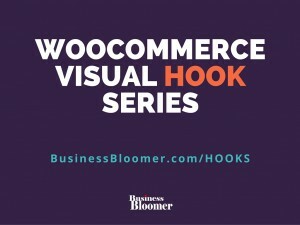 Can anyone confirm that hook: woocommerce_before_main_content is still working? Appearantly, no matter what i do, i can’t seem to hook into it. When ever i change the hook name, my function seems to work. This hook doesn’t work for me. I see alot of people had issues with it on the internet, but no one really found a useful solution. What’s wiered too, is that the title markup in “archive-product.php” isnt the one getting rendered on front end either. And no matter how many changes i made to archive-product.php (for testing purposes) no change really appears on the frontend. This hook is driving me nuts.. It could be your theme… can you switch to another for a second and see if the hook works? I’m having the exact same problem with a client website. Googled, googled and googled with no luck. This visual guide blog is fantastic though! 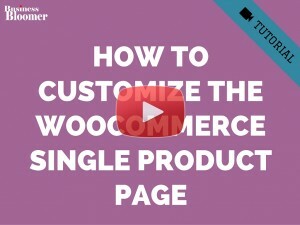 Wish I could get woocommerce_after_main_content to work though. Rodolfo, thanks for your blog posts. One question, I tried editing Infinte Child Theme usuing your instructions but it doesnt work. Any reference onto why is not working? Hola Nicolas, thanks for your comment 🙂 Sorry but this is custom troubleshooting and cannot help here via the blog comments. Thank you! I have one question for which I’ve been looking for answer for 3-4 days in the net. !This one is the main problem! The Booster managed to show me all the categories and subcategories with these shortcodes: [wcj_product_categories] and [wcj_product_categories before=”Category: “]. But I want to show only one particular subcategory which is the name of the brand of a particular product. I tried your php solution for this but it didn’t work. Hi, i have the same “issues”. It works fine to remove and add, but when i want to remove meta and only add SKU, it doesn’t seems like there an easy way to only add the SKU from the meta? hi, I want to override archieve.php file. and i followed all the steps that are mentioned to override like make a folder named woocomerce in theme directory and in this directory copy the archieve.php file. but nothing works. please guide me what to do to resolve that issue? How can i add Add to wishlist button on shop page? Great support! Thank you for sharing this with us! Really helpful! Hey! This is a great visual helper. One question, though – in which hook is the “Showing all 4 results”. Also, how can I remove the result_count from there? I “sell” articles on my website. So, the basic template of the shop page is not relevante for me. – the add to cart on same row of the title. How do you change the template of the loop ? Thanks for the help with removing the “best sellers” on my woocommerce storefront. Thanks Rodolfo and the rest of the commenters. This thread quickly refreshed my memory a lot and helped me solve a nice little SEO boost on the archive pages. Adding an h1 of the current product category or tag archive term title to the top of the archive pages and an h3 of it at the bottom of the page. What is the difference between Taxonomy description and product achieve description? You are amazing !! It’s great feeling to control your own website. So I understand everything you are teaching. But what if my theme has already overridden all these hooks? in my functions.php of the child theme, but description stays at it is. I suspect it because my theme shopkeeper has altered the hook or function names. What do you think in these kinds of cases? Should I make my own hook guide for my theme or just ditch the theme? I’m struggling with simple thing. On my shop page which displays categories, there is category image, and category name below following by number of items inside the category. How can I remove the category name/number of items? I just want to have category image, nothing else. 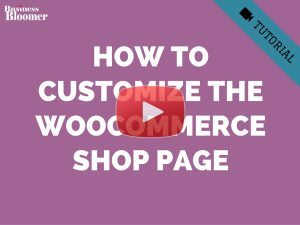 Is there a way to use the remove codes to stop all of the shop loop items appearing on woo category pages please? So for e.g., if i just wanted to have images that link to sub categories and NO products appearing in category pages can i use one of these codes to achieve that please? I have a strange issue and wondering if you could give me some advice. The 1st post on the shop page is displaying the long product description at the bottom of the page. The individual product posts are fine. It does not matter the filter I select it always displays the associated posts text at the bottom of the page. I hope I am explaining this in a way that it is understood. I am just baffled by this issue. The site was already built when I was hired so I am having to try to salvage this disaster. Hi Daniel, Did you figure this out? I tried exactly the same. In the end I had to use a display:none styling (which is a rubbish solution) to hide the existing, because nothing I do seems to be able to remove existing Woo actions. I’m suspicious this is because the theme I’m using (Avada) is at fault thinking that it controls everything. I love your guide. But one problem I have. I can’t use the get field of acf in the shoppage above. Thanks Melanie! Why can’t you use it? I want to add No of Quantity and other some details in Thumbnail product page . please help me . Hi, thanks for your amazing videos and website. You explain things in a way that is so easy to understand! 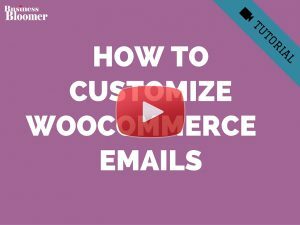 My question, do you know where I should look if I want to customize the small “archive loops” that Woocommerce puts out when you use a shortcode like [related_products] or [sale_products]? Where do the functions for these short codes live? Can you customize them in a similar way as you do in this article? Your tutorials are really helpful, Thanks. My questions is how should I remove Sidebars of Shop page and show products in full width on screen. I tried from basic page settings but it didn’t worked for me. first I like to thank you for the tutorial, and I also have a question for you. I am tring to use the following code to print some content right before the title of products (an categories). It works like charm for products, but it does not show nothing on the categories. Just to be clear my website have to show both categories and products in the shop. I found myself a solution. I did not check all your website, but if you missed it I think it will be nice to add also the hooks for the category. Thank you again for your really useful tips, and have a nice day. This is awesome Andrea, thank you very much! Thanks for your comment Diego! What have you tried so far? Thank you so much! This post is definitely very useful. Cheers! Awesome, thank you so much David! wooCommerse catalog 4 column per row page product element adds a horizontal scroll bar for about 9 pixels of oversize that looks horible. Is there a Snippet to just remove the scroll bar. Hey Jeff, thanks for your comment! I’m afraid this is not a PHP thing, there is some customization required on the CSS end, as this is probably something that your theme is causing 🙂 Hope this helps! i m new to woocommerce. Hey Manjil, thanks for your comment! I guess you also need some CSS work to reduce the width of the products, so you can make room for a sidebar on its left 🙂 Hope this helps! I love your articles and videos. It is all not so scary anymore!! I am trying to add a row of content on the shop page – before the main content. Using the Beaver Builder theme. Do you have any ideas on how to get a beaver builder on the shop page? Hey Jean, thanks for your comment! What error do you get on the white screen? Rodolfo, first of all: GREAT tutorials! Indeed, I was also working a lot with plugins to get things done. Now, after watching several video’s you published, I removed a few plugins already. Okay, down to business 🙂 I have this strange thing going on, on my category pages. As expected, the thumbnails of products and other things like price, etc. are displayed correctly. But, down the category page, these products are once again displayed, but now with the full description. Any idea, what this might be? ‘Infinite scrolling’ in the Jetpack plugin was active. Thanks for sharing this! It’s very helpful. 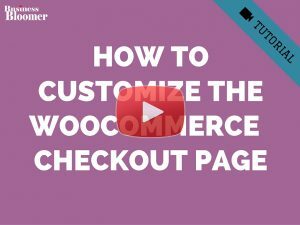 I was recommended this site to help me skip the product page on my Woocommerce shop. But unfortunately I can’t figure it out. Do you know how I can make the shop page thumbnails link directly to the external product? Instead of the users having to go to the product page first, and then click the external link? I can’t find anything about it anywhere. Archive page > product page > external page. I made a ajax product filter widget for best selling product . And its working fine but its changing shop page products layout means its displays 6 products per row . Before filter it was 3 products per row . Can you help me ? Very helpful video indeed Rodolfo – thank you. Following the video I wanted to try and move the titles of the 2 categories (displayed on the shop page) from below the thumbnail to above it. On doing a bit of googling I found the following snippet – which made sense, and worked after a fashion. But that didn’t work either. On further googling I then found out that the conditional “is” checks do not work in the body of functions.php. They only work if they are within a function tied to an action. So, I was wondering if you know how I can run the remove_action and add_action conditionally? I had actually tried that. I was looking for a hook I could use that might allow me to do that and init was one I tried. And no change I’m afraid. Still no good – it’s almost like the category thumbnail and titile are not treated the same as products? You can see at the URL appended to this comment. Well, in case I had a typo I tried the init approach again.. Still no joy I am afraid – no difference at all. Maybe the remove and add actions generally cannot be called within a function? Or maybe those 2 specific ones are called too late to have an effect. Perhaps the answer is to change the template? Sorry – the same as before – removing the is_shop check means it works on on the products page. So the list of products (e.g range of business cards) have the title’s above the thumbnails (which I don’t want – for the listed products I want the title underneath), but the parent page that just lists the 2 categories of “Business Cards” and “Stationery” have the titles stuck under the thumbnails. I found the solution 🙂 Instead of using “init” please use “wp_head” (and keep the is_shop() check as you said). Init is too soon for conditional logic! Sorry – no change. Catalogue page listing the categories; title is still below thumbnail, but products page titles are now back to under thumbnail as required. In my opinion there’s definitely something different about listing the categories as opposed to listing normal products (i.e. Categories are not treated like products)? Hi Rodolfo, there wasn’t a reply button on your last comment so I had to create a new comment – sorry. Anyway, I’ve restored the archive-products.php to it’s oroiginal state as you advised, and I also added the code you sent to my functions.php (the one in the child theme). but nothing is showing at the bottom of my shop page or category page. It’s as you said, I think the theme author has removed it. Is there anyway to restore it into the archive-products.php file? No problem – thanks for spotting the “max 5 comments bug” 🙂 So, yes, you’re right, they removed that part. No idea why! Then, go to your functions.php and do what I said in the last comment. at the end, but still no joy. Just in case I put it in the wrong place, i also tried placing it near the top and towards the middle. but still nothing. , it works just fine, the text appears at the top – just like in your tutorial video. At this point I’m really baffled. Since I have the archive-products.php in my child theme now, I guess I could just go ahead and make changes to it directly without worrying about an update that might break things, right? Although, it would be really good to get this working the correct way. Have you tried calling it differently e.g. Then of course, you will need to use that hook in your add_action. to the very end of the archive-products.php file. is that the correct place for it? or should it be somewhere else? Lol, I should have said this 6 comments ago… can you email me your WP & FTP details and I’ll take a quick look for a minute? Excellent video Rodolpho. just one question. The ‘woocommerce_after_shop_loop’ and the ‘woocommerce_after_main_content’ dont do anything to add content to the bottom of my theme’s shop page. 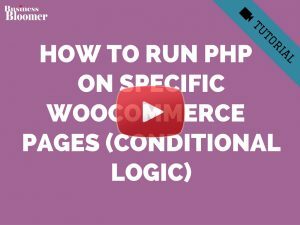 I’ve checked the archive-products.php in my theme and there is no mention of either ‘woocommerce_after_shop_loop’ or ‘woocommerce_after_main_content’. COuld it be that I need to add them manually? If so, could you kindly explain how please. Thanks Ewan! 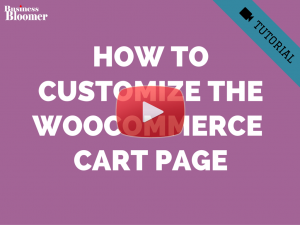 It seems your theme is overriding the WooCommerce template, which is actually not recommended. Not sure if they are overriding an old version which did not contain those actions (weird), or they removed them (even more strange). Is your theme up to date i.e. they released an update in the last 3-4 weeks and you’re running that version? Near the bottom you can see some echo lines where I’ve attempted to add the content manually. That seems the only way to do it for now. This works fine, but I’m worried about when the theme gets updated. Do you have any suggestions? See at the top where they use remove_action? 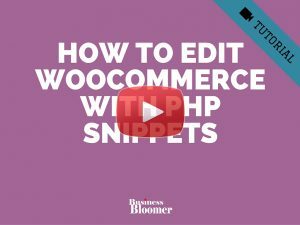 There they’re removing some WooCommerce default actions and substituting them with their own ones. However, “woocommerce_after_shop_loop” is still there, so it must work. The lines above + the echo bits are my own additions. Let me know if this first test works! Just wanted to thank you for taking the time to make these visual guides, they are extremely helpful and come in handy all the time. Actually saved me from purchasing some plugin that builds Woo templates, No need when Rodolfo taught me how to do it myself! ha! Thanks again Rodolfo you are awesome. I have a design for my shop page. how can I customize shop page to look like my design ? can you please give suggestion ? Hey Ferdaus, thanks for your comment! I’m afraid without looking at your design I find it difficult to give you suggestions 🙂 Upload them to Google Docs or DropBox and I’ll take a look! Here is the design link please check it and help me . Thank you Asa! Much appreciated 🙂 In relation to the product attribute archives, they use the same template file of Product Tags: taxonomy-product_tag.php, and have the same exact hooks of the Archive/Shop/Cat/Tag pages. What are you trying to display? Thank you! hmm, well then it is something else I don´t understand 🙂 Thought Woo changed the attribute set up to not act as a taxonomy anymore! I am trying to make the attribute archive page to look like a tag or a category page. I am using the genesis framework. This is a category on my site: https://asamaria.se/produkt-kategori/orhangen/ I have descriptions above and below the products. the genesis category description above and then I have moved the “usual” description to display below. Now look at an attribute page https://asamaria.se/pa_adelsten/ametist/ that description you see is the description output by genesis. There is no display of the “ususal” description. The field is present in the editor so I have text there but it is not visible. Hey Asa 🙂 The woocommerce_taxonomy_archive_description() only works for tags and categories. This is why it does not show for attributes. You will need to code this from scratch and do something along the line of “if is product attribute page, show attribute description”. hello Rodolfo. You know what!!?? Thank you very much!! i like it!! Thank you Olivier 🙂 Much appreciated! Excellent resource! Thank you so much!!! Thank you Patty! Any particular request for the next Visual Guide?